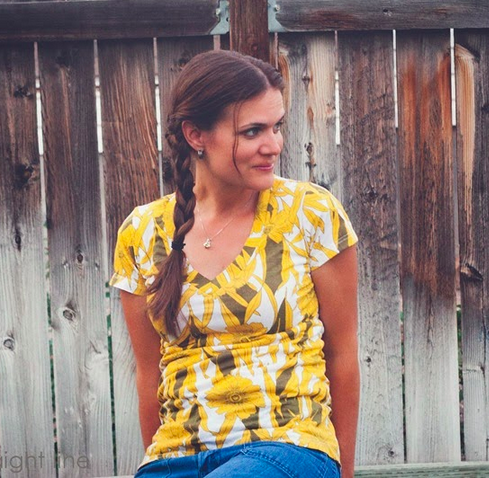 The Union St. Tee is a great wardrobe basic to have in your pattern stash. 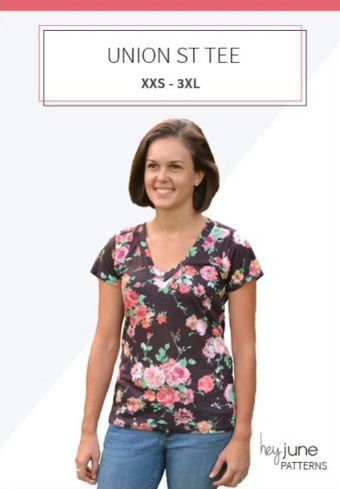 It comes with the option for a v-neck or scoop neck, and has four sleeve lengths included – short, elbow, 3/4, and long. 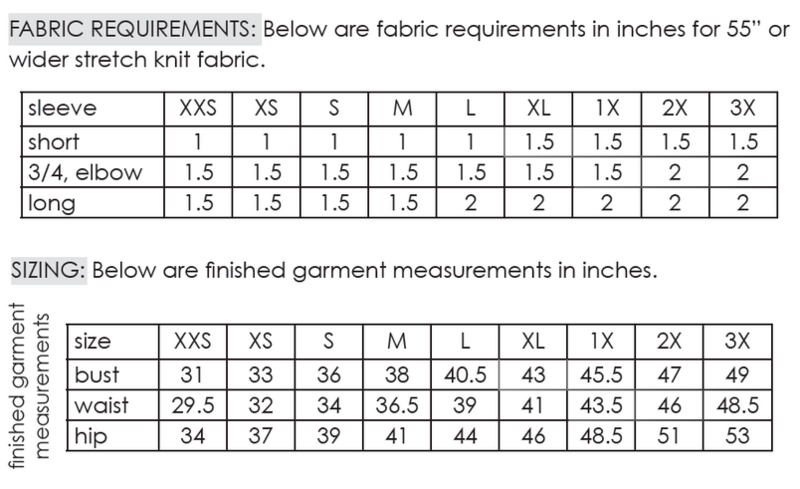 Use the measurement chart to choose the best size for you. 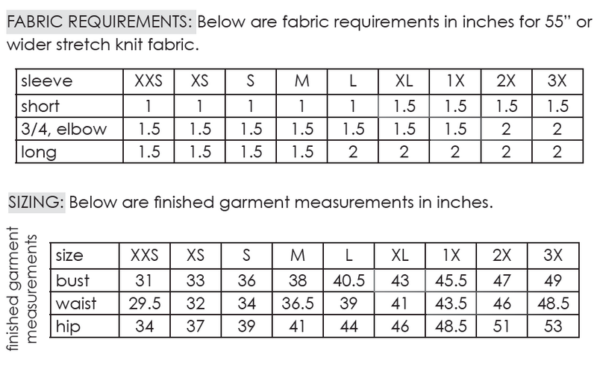 If your fabric is very stretchy, you can make the size that matches your measurements exactly without worrying about ease. 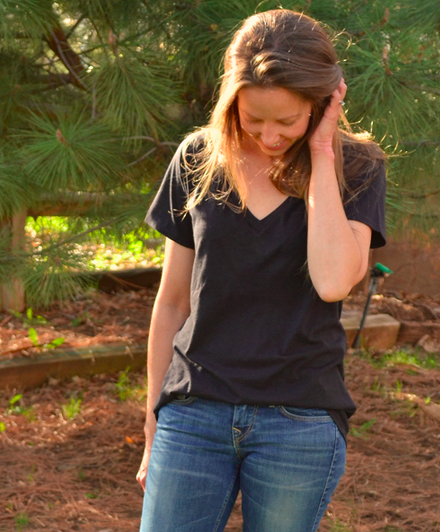 If you’re looking to make a slouchier top, you can go up a size. 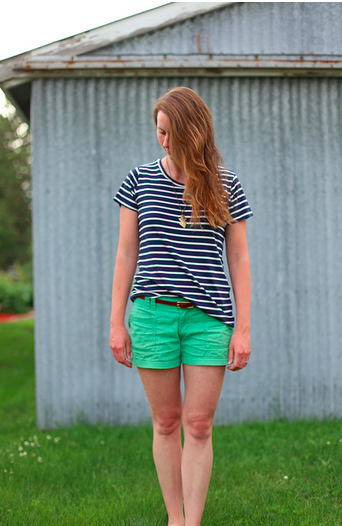 Because the Union St. Tee starts at size XXS, it is suitable for tweens – adults. 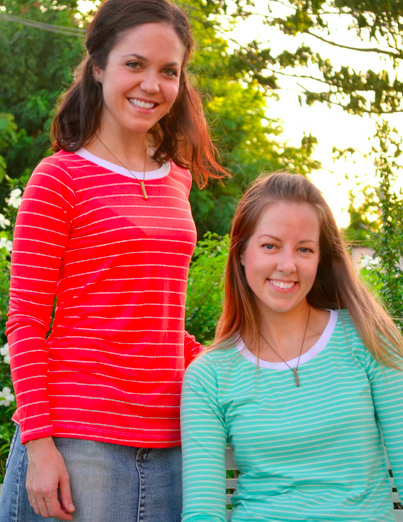 The Union St. Tee pattern works nicely with jerseys, both cotton and cotton blends, but you can also use rib knit, interlock, waffle knit, lycra spandex, or even stretch lace! Anything with a stretch of at least 30% will work, but 50 – 100% stretch is best. 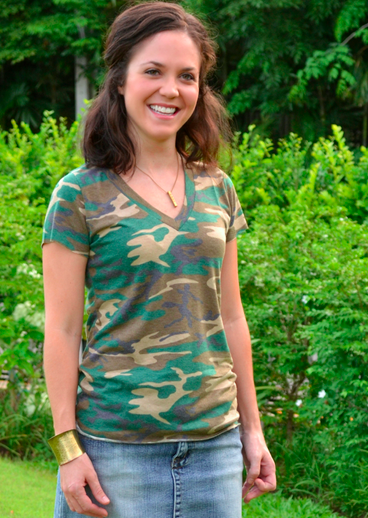 Just remember – the smaller the stretch percentage, the more fitted your shirt will be, so plan accordingly.